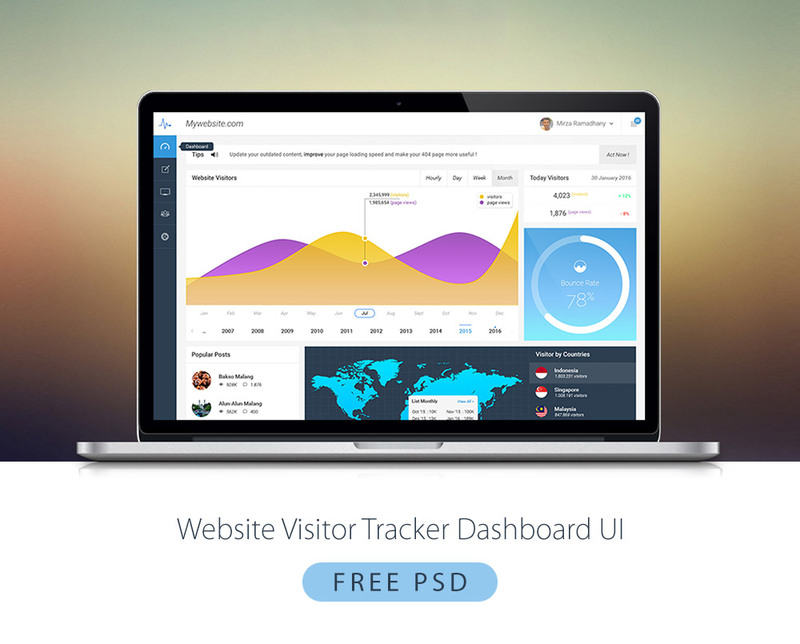 Download Website Visitor Tracker Dashboard UI Free PSD. Here is a colorful dashboard with a clean ui design. It was made to check out and Track websites traffic. This vibrant Website Visitor Tracker Dashboard UI Free PSD with Map will give you some ideas on how to build your next dashboard project. Hope this helps you get started. Enjoy!